Since 2014, at the instigation of Fulham Football Club Chief Executive Officer Alistair Mackintosh, members of the Trust Board have met with senior representatives of Fulham Football Club on a monthly basis as part of a structured relationship between the Trust and the Club. The meetings have no set agenda, with the Trust representatives free to ask any question they wish; notes from the meeting are prepared by the Trust Board for rapid circulation, first to our members and then to the wider Fulham fanbase. The meetings are always attended by Alistair Mackintosh and a selection of the Club’s management board and have become an excellent forum for frank discussion and cooperation. The Fulham Supporters’ Trust signed a Memorandum of Understanding (MoU) with Fulham Football Club on Tuesday 12 December 2017 to formalise our structured dialogue on behalf of Fulham fans. The MoU is the first such document signed between an English professional club and their Supporters’ Trust and commits both parties to share relevant information and discuss issues of mutual concern during regular meetings. 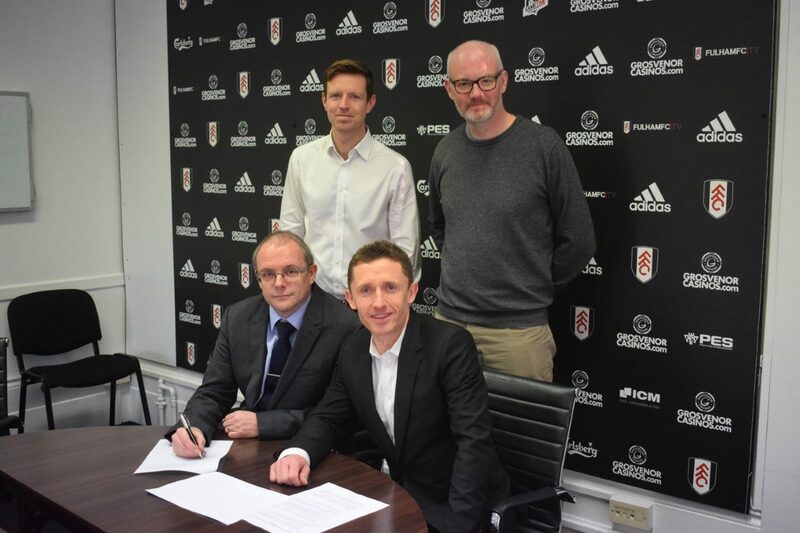 It builds on the progress made since the Trust’s monthly meetings with senior Club officials were set up by Fulham FC Chief Executive Officer Alistair Mackintosh in 2014. The document was drawn up with the advice and guidance of Supporters Direct, the national umbrella body for Supporters’ Trusts, who have been at the forefront of developing structured dialogue and successfully secured EFL and Premier League regulations mandating meetings between clubs and recognised Trusts. The Fulham Supporters’ Trust’s dialogue with Fulham FC has been praised in a Department of Culture and Media Sport report on strengthening the links between football clubs and their supporters. At Fulham FC, the Fulham Supporters’ Trust sends a delegation from the Trust Board to a monthly meeting with the Chief Executive (and other club officials as appropriate). The club recognises the suitability of the Trust for structured dialogue with the clubs supporters, with the Trust able to raise any items of significance and the notes published and widely distributed. This structured relationship has greatly increased communication and trust between the club and Fulham supporters. The Fulham Supporters’ Trust – like all recognised Trusts – is an independent, democratic and formally structured organisation. The Trust will always remain accountable to its members and independent of the Club, but the formal structured dialogue will help the Trust to continue to make progress on key supporter issues. Structured dialogue between Clubs and recognised Supporters’ Trusts is something Supporters Direct have been integral in securing in league regulations. Fortunately for the Fulham Supporters’ Trust, Fulham FC have been open to detailed, extensive, searching and sometimes challenging dialogue on a regular basis over the last three years. Signing an MoU doesn’t change that – it emphasises the value that independent, democratic and representative supporters’ organisations can bring in helping Clubs not only develop good relationships with their fans, but make decisions that take into account the supporter perspective. It doesn’t mean we will always agree, but will help ensure the dialogue happens in a structured, professional and respectful way. That the Club have become the first to sign such an MoU demonstrates, I believe, their confidence in the relationship with the Trust that we have both worked hard on and their commitment to being as responsive as possible to supporter views and priorities. We were keen to formalise an increase in the frequency of meetings with the Fulham Supporters’ Trust as their robust questioning continually makes us think and they provide a representative, educated soundboard for our own initiatives. As custodians of Craven Cottage and our remarkable football club, we share goals of sustainability and success. Having formal structured dialogue between supporters and clubs is critical as it allows challenging issues to be met head on, not avoided or advanced without proper consultation. That builds trust and sets the tone for supporter engagement. Supporters Direct have followed the progress of structured dialogue at Fulham with keen interest for some time and this memorandum of understanding takes this a step further and we praise Fulham Football Club and the Fulham Supporters’ Trust for their pioneering approach. From Opposition to Influence – What is Structured Dialogue? Following our work in improving relations between Fulham Football Club and Fulham fans over fourteen years, the Fulham Supporters’ Trust was invited by Supporters Direct to give a presentation on how fans can engage effectively with their football club at the 2017 Supporters Summit at the National Football Centre in Burton in July. According to Supporters Direct, structured dialogue should provide an effective and formal method of communication between the executive level of football clubs and democratically elected supporter representatives on key issues of importance. In 2016, the English Football League and the Premier League introduced regulations requiring their member clubs to conduct dialogue with supporters. The EFL rule book states that under the regulations clubs must be represented by owners, directors or senior executive management as the matters being discussed will often be of a strategic nature and may relate to the management and day-to-day running of the club. Where meetings are not open to all supporters wishing to attend, the supporter representatives must be elected, selected or invited in line with basic democratic principles. Individuals cannot be excluded by the club without good reason (the club acting reasonably).